As a good boss, how do you make sure your staff is doing well and feeling well? 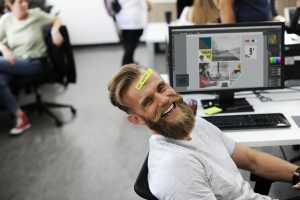 In this article, we have compiled some employee wellness tips for you to help your employees stay happy, healthy and productive. Maintaining a sound mind is crucial in all aspects of your daily life, especially at work. From decision making to the ability of handling specific tasks, a clear head and a level composition lead to good performance. Employers most of all should take note about how to support their staff and help them stay in tip-top shape physically and psychologically. People who work for over 8 hours a day are no stranger to stressful situations during their jobs. Numerous studies have proven that employees who go to work despite not feeling well are prone to more serious health risks and incidents that could harm the rest of the workplace itself. This may seem like an obvious answer but it’s indispensable. Employee Wellness Programs make your staff feel that they are being taken care of, thus reducing stress and tension in the workplace. It can vary from small events sprinkled throughout the year, to regularly scheduled Zumba classes everyone can participate in—there’s no limit for creative methods to involve them in fun activities that they can enjoy. 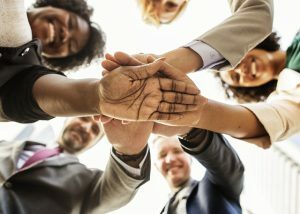 Allowing your employees to bond over team-building affairs helps shape the vibe of their work environment and create stronger relationships among your staff. If you’re low on budget, these programs don’t need to be expensive—things like a simple company picnic at the park or a cookout at someone’s house will do. Anything that could help provide your staff with an opportunity to socialise outside work gives them a sense of family and belongingness: that work can’t just work, it can also be their home. Keep in mind that your staff are real people who get tired and burnt out. Even your most enthusiastic employee needs a break. In reality, the “work hard” mentality isn’t healthy nor effective—employees who skip their lunch breaks or pass on taking holiday leaves are prone to health risks that could lead to serious diseases or sometimes even death. Even an hour-long lunch break and paid short breaks can do good for your staff, allowing them to refresh and take some time off for themselves also affect your company in the long run. Studies show that employees who are encouraged breaks are more likely to rate their jobs and companies very satisfactorily, with 90% of staff members claiming that taking a lunch break aids them in recharging and to continue working according to a survey by Tork. Part of employee wellness is making sure they stay healthy physically and mentally. You can’t expect people to always be okay. No matter how healthy a person can be, there are still days when they are under the weather—and it’s something out of anyone’s control. Letting your employees take a sick leave every now and then is much better than forcing them to go to work. Besides, going to work sick hampers productivity and can endanger co-workers who might get sick as well. One of the greatest motivators you can give to your employees is any gesture of encouragement. Acknowledging their hard work motivates them to aspire doing better. In return, this helps keep the workplace in a positive vibe. Regular feedback also helps your staff to improve and grow, by letting them know which aspects of their performance needs more attention and which ones they excel in. Easier methods such as changing how you respond or including encouraging phrases such as “I appreciate the way you…” or “I’m impressed with your…” can boost the mood of your staff. People like getting praises, no matter how small, a positive working environment can already make it feel like a big accomplishment. Showing your gratitude towards your team makes them feel valued and sometimes, grateful in return to have you as a boss as well. We hope these tips help you take good care of your employees so they can do better. Good company relationships are forged in harmonious work environments where everyone can thrive. Remember the golden rule: treat your staff the way you want to be treated if you were a member yourself, and you’ll master employee engagement in no time!